The Tasmanian HACC Program provides funding for basic community care services that support persons who are under 65 years or Aboriginal and Torres Strait Islander people aged less than 50 years of age living with disabling conditions and their carers. Services are targeted towards people who live in the community and whose capacity for independent living is at risk, or who are at risk of premature or inappropriate admission to long term residential care. The Department of Health and Human Services has released a Discussion paper that describes how Tasmanian HACC Program policies and service delivery can better align with the future community care environment and provide better outcomes for clients, providers and government. 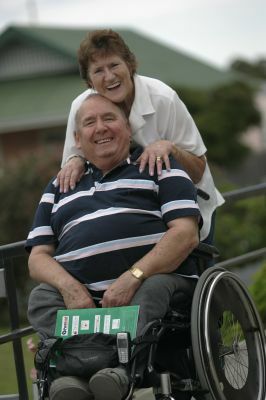 To see if you are eligible contact Tasmanian Community Care Referral Service. The Australian Government is responsible for the provision of aged care services, including home and community care, for people aged 65 years and over and Aboriginal and Torres Strait Islander people aged 50 years and over. For Further information please go to the Australian Government's My Aged Care website at www.myagedcare.gov.au or call 1800 200 422 to find our more information. This page was generated on Saturday 20 April 2019 at 10:56pm.